The Portuguese Association for CDG, generated many resources in different languages in full collaboration with worldwide CDG families and professionals. In our blog we are continuously making available publications and related resources considered of major interest for CDG Community. Please visit it for further information. All our work is publicly available to help the CDG community. Importantly, our resources are done by volunteers. If you use our resources, please refer to http://www.apcdg.com/resources.html as the source of information. This helps us to ensure that families and professionals know the original source of information. Additionally, you contribute to ensure that updated information reaches the entire community . Also, please note that these are educational resources (we do not authorize their use for other purposes). THANKS! 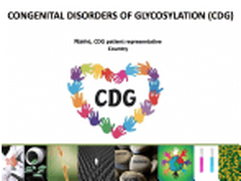 To increase CDG awareness at global level. These resources belong to the World CDG-AED program 2015-2017 (CDG - Awareness. Education. Diagnosis) . Chapter on Genetic Disorders of Glycosylation at Essentials of Glycobiology. 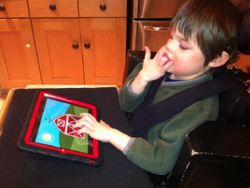 2nd edition written by Freeze HH, Schachter H.
NORD report done by Hudson Freeze, PhD, Professor and Director, Genetic Disease Program, Sanford Children's Health Research Center, Sanford-Burnham Medical Research Institute. PUBMED is a free resource that comprises over 25 million citations for biomedical literature from MEDLINE, life science journals, and online books. OMIM: is a comprehensive, authoritative compendium of human genes and genetic phenotypes that is freely available and updated daily. FindZebra is a specialised search engine supporting medical professionals in diagnosing rare diseases. CrowdMed is a medical crowdsourcing has helped solve hundreds of difficult medical cases. Their online medical diagnosis experts are ready to help.